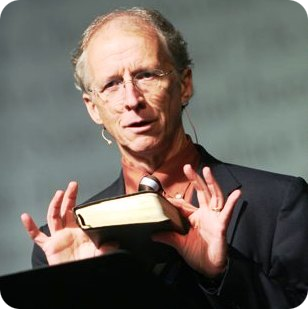 In a way-back sermon from 1984, John Piper explains two of the both/and passages we find in the book of Philippians that hold in perfect tension God's work IN us and our work FOR Him. The best commentary on Philippians 3:12 is Philippians 2:12–13: "Work out your own salvation with fear and trembling; for God is at work in you." Go hard after Christ, because Christ is at work in you! "Strive for . . . the holiness without which no one will see the Lord" (Hebrews 12:14), for the Lord is working in you what is pleasing in his sight (Hebrews 13:21). 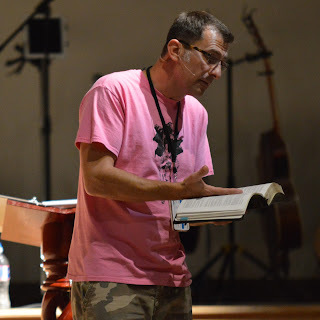 The reason the Bible can make our salvation depend on our pursuit of holiness without turning us into self-reliant legalists who have no assurance is that it makes our pursuit of holiness depend on the sovereign work of God in our lives. Work out your salvation, because God is at work in you. Your work is his work for his glory when done in dependence on his power. The most fundamental reason why you must go hard after Christ is that Christ is in you, moving you to go hard after him. Read or listen to the entire sermon here.